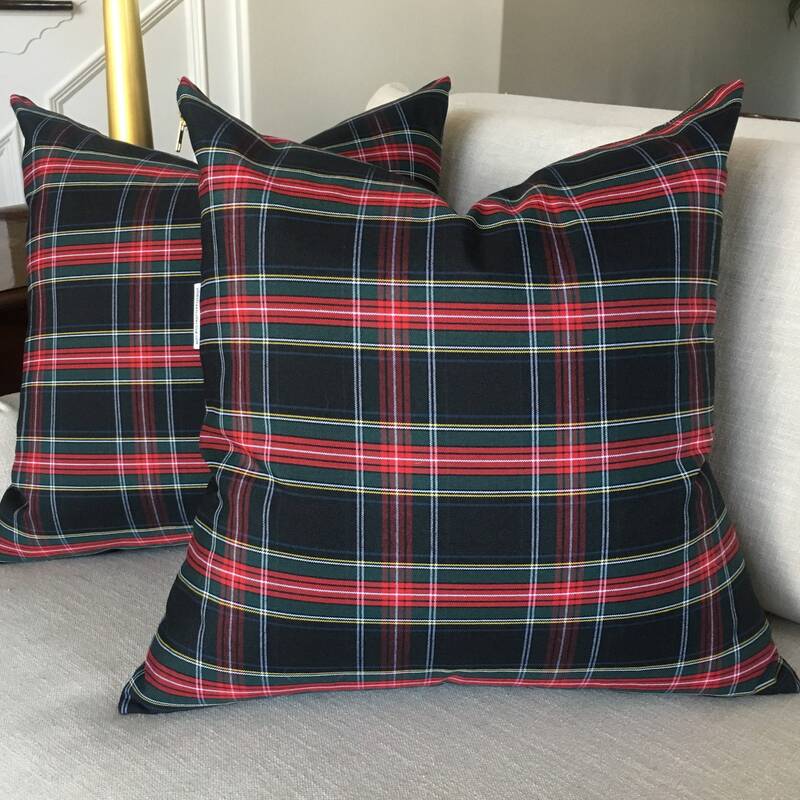 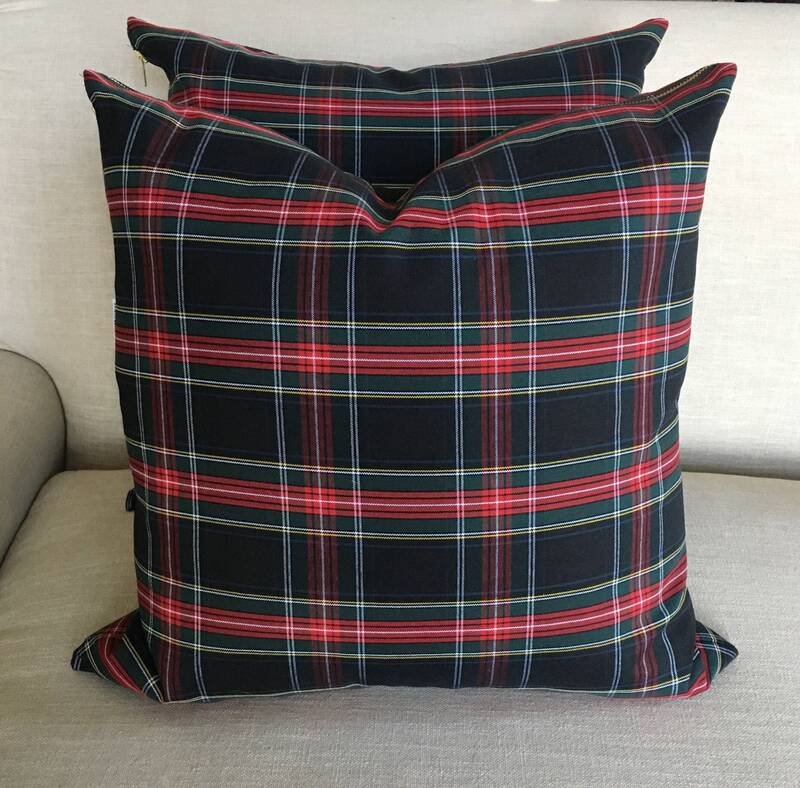 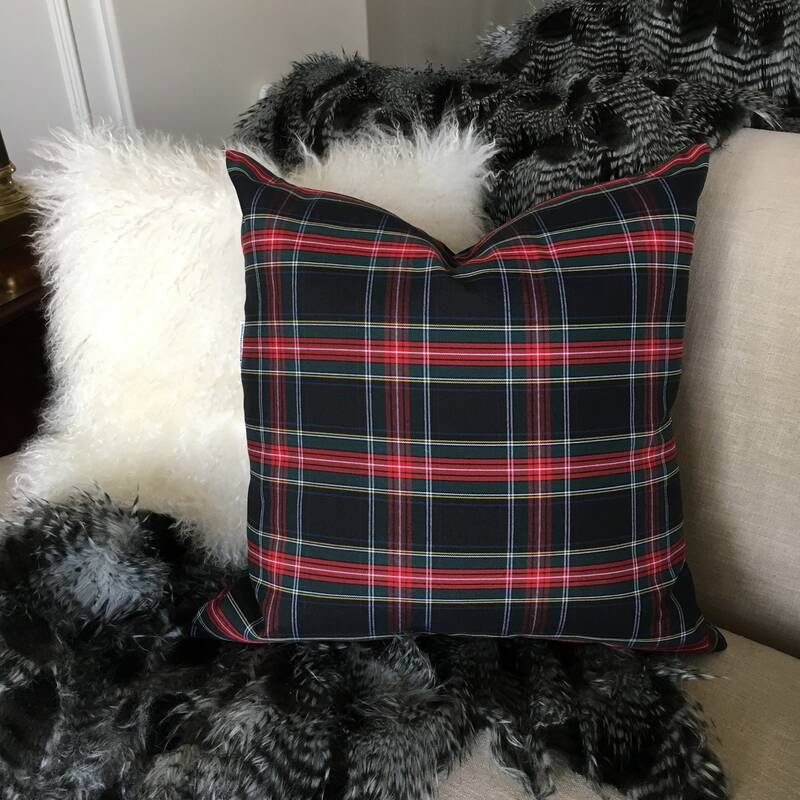 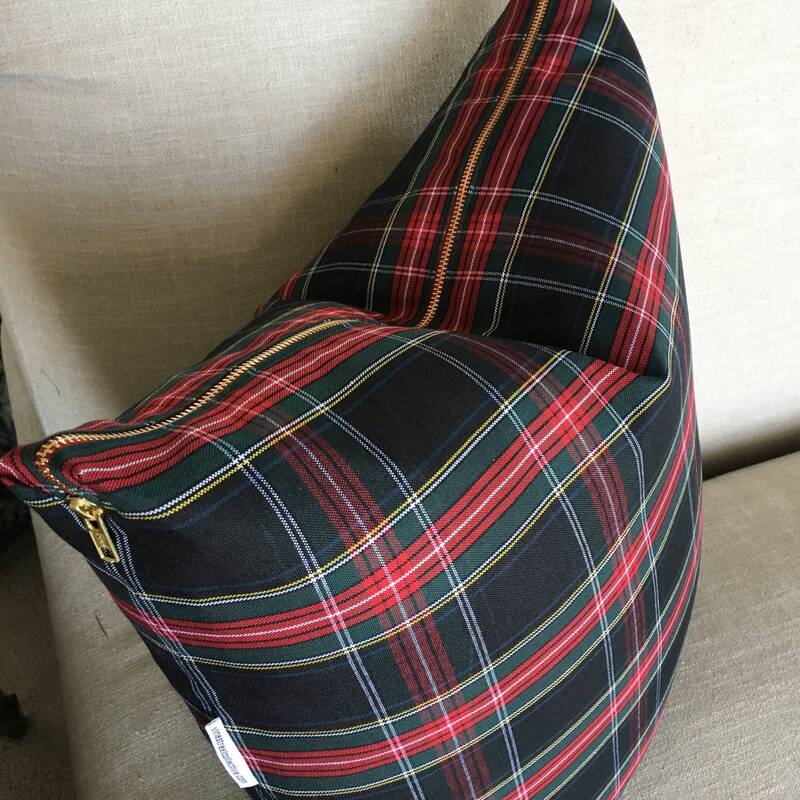 A classic winter look, layer this Black Tartan Pillow Cover with furs and your other favorite tartans for an intimate, masculine winter look. 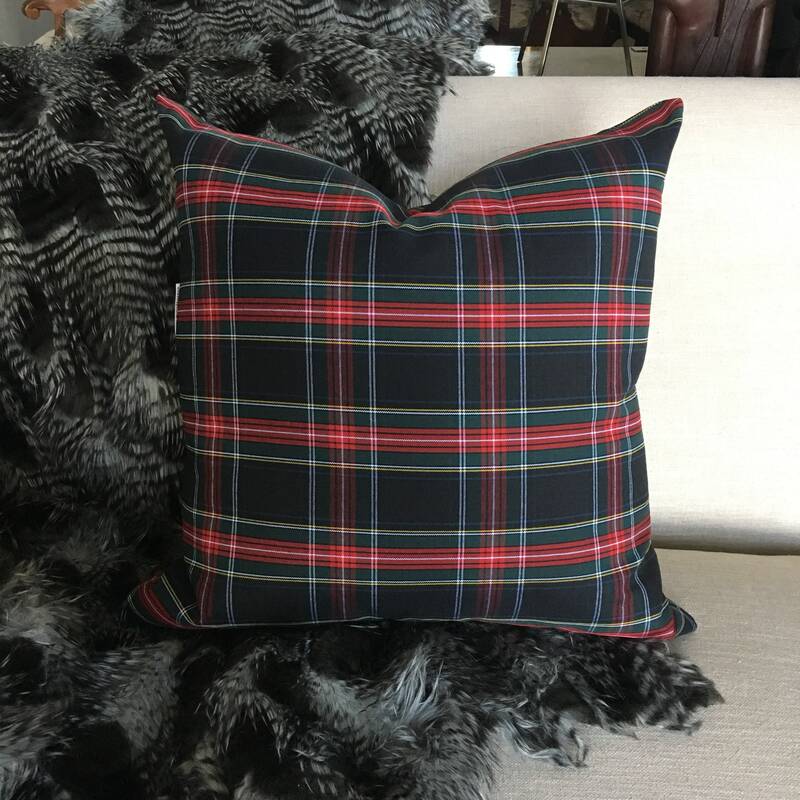 Accentuated with a bold red zipper, this throw pillow offers a modern take on an old-world classic. 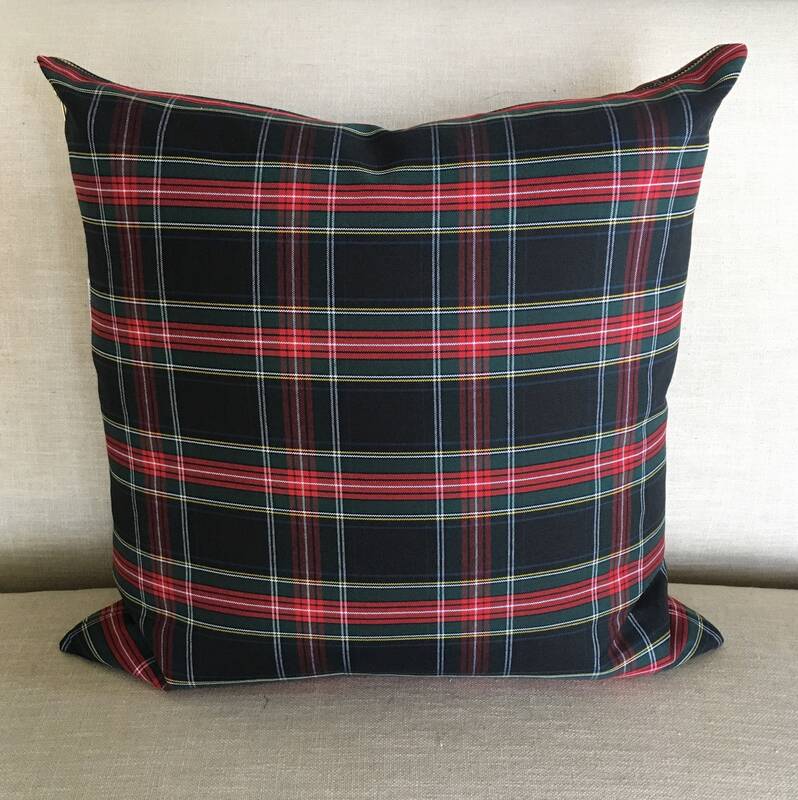 The black base color is accentuated by red, forest green, mustard and white tones. 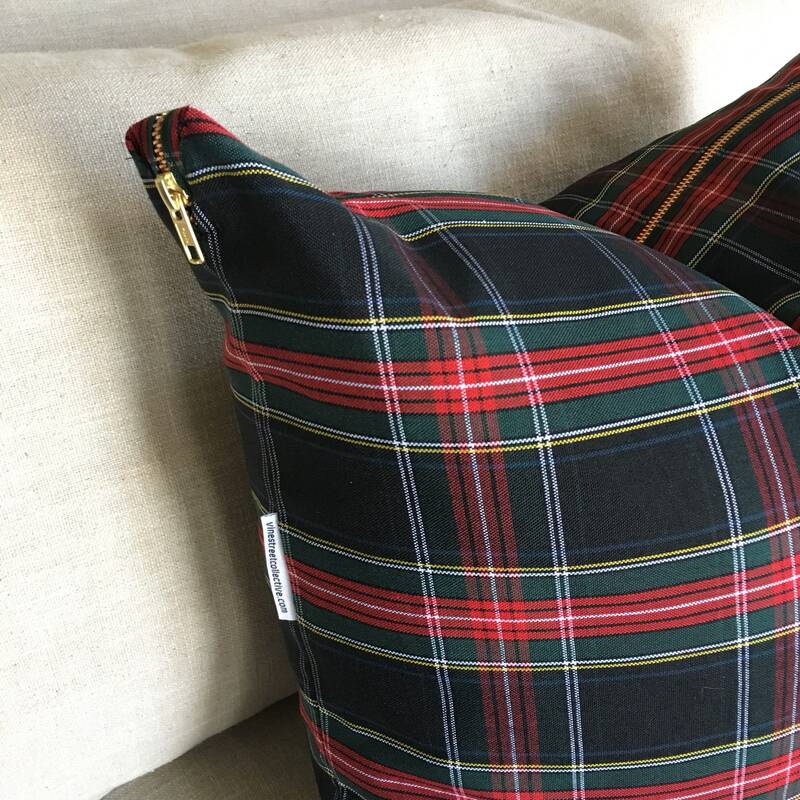 The chunky red and gold/brass zipper, is a Vine Street Collective trademark which you will find on all of our pillow covers.